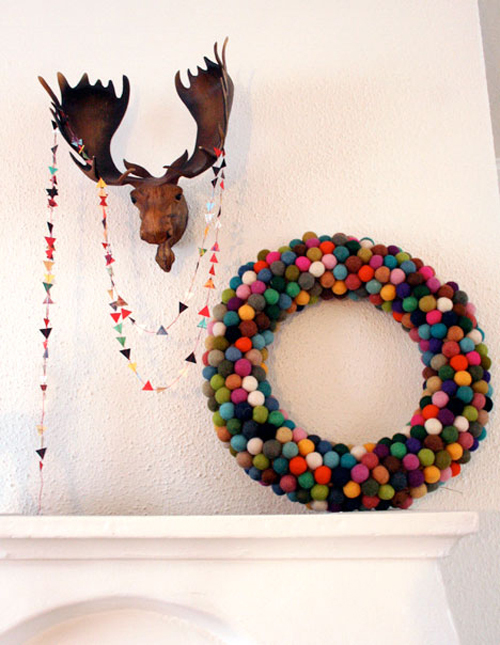 This beautiful wreath made of felted balls is a great diy project. 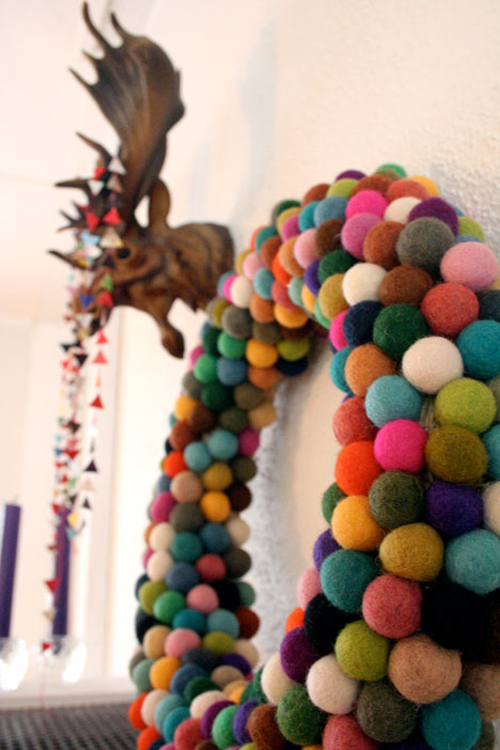 You can buy felted balls but you can also make them yourself. You can find full instructions how to make this wreath here on Pickles. Thank you for answering my holiday crafting prayers! where is the wooden moose head from? i LOVE it! !